Silent Hill: Homecoming offered a more action-oriented experience than the other games in the series. 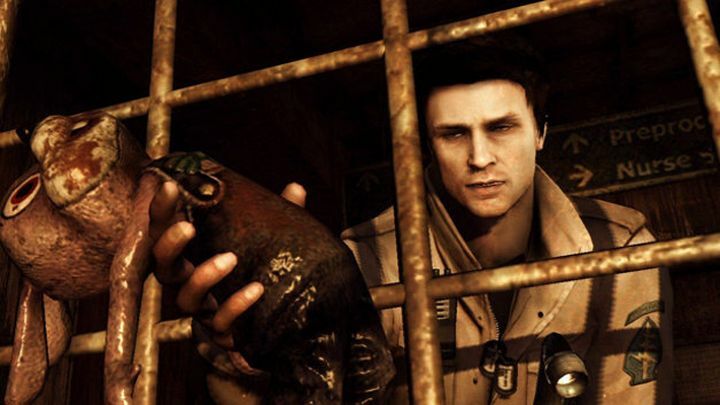 In this Silent Hill game you took control of Alex Shepherd, a war vet who returns to his home town of Shepherd’s Glen only to find out it has been taken over by Silent Hill’s usual menagerie of monstrosities… And unlike earlier games in the series, Silent Hill: Homecoming focused more on action and dealing death, something that makes sense taking into account main character Alex’s military training. Actually, unlike the average Joe types of earlier games Alex is quite proficient at combat, and taking into account that most weapons dealt a lot of damage here, the game was a bit too easy as well. So this was a less survival horror, more action-oriented game than the likes of Silent Hill 3, then. This is not necessarily a bad thing, though, if it wasn’t for the fact that the jump off your seat scares the earlier games delivered are few and far between here. But still, the monsters and action in Homecoming were fun enough, and this also had good production values, making it a decent entry in Konami’s long-running horror series.